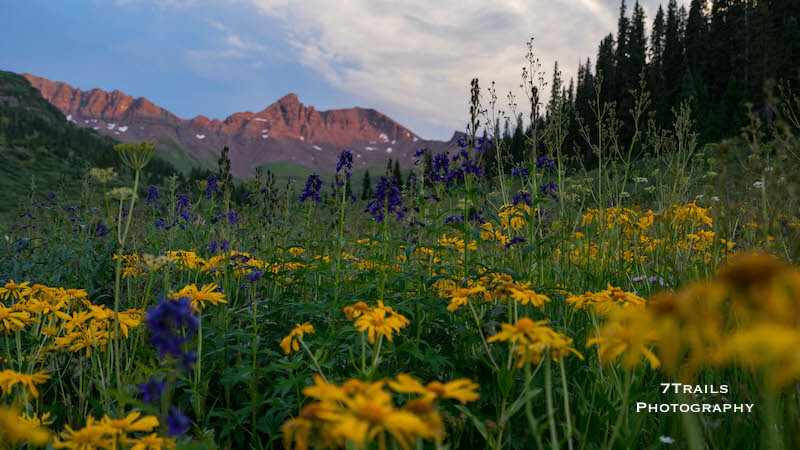 I recently had the chance to spend a few days on the Four Pass Loop in Colorado, an amazing hiking destination that I’ve (somehow) spent very little time. 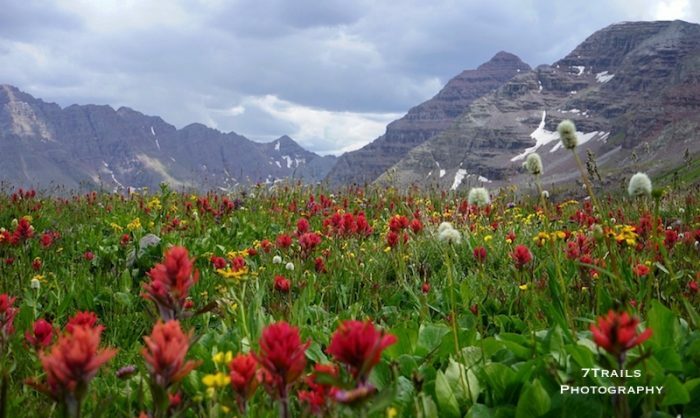 This short, scenic circuit treats hikers to a series of high altitude passes interspersed with alpine lakes, lush forests, and beautiful wildflowers. The hike is a wonderful introduction to the Centennial state’s nearly limitless opportunities for backcountry adventure. 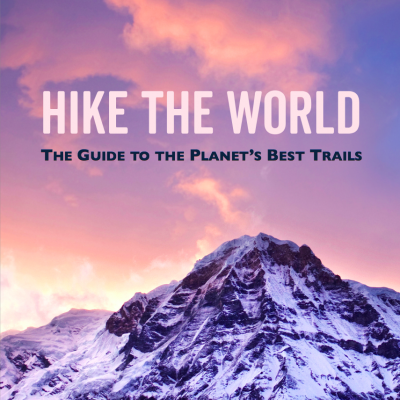 For this short hike, I headed first to Denver to meet up with Travis (whom you may remember from the Tour de Mont Blanc, the Seychelles 1, 2 and 3, Montenegro, and the back cover of my book), Jamie and Denny. 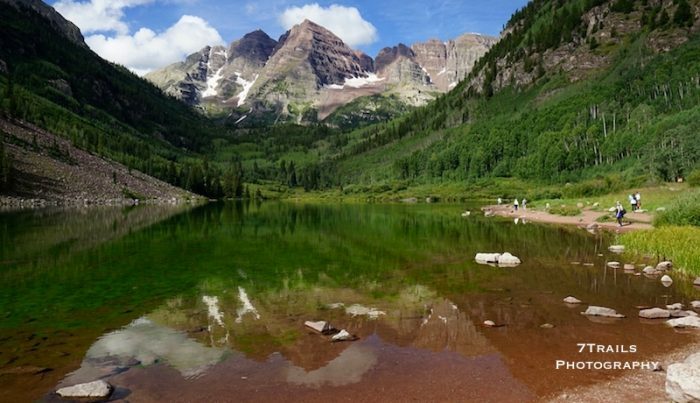 The four of us then set off for the Snowmass-Maroon Bells Wilderness Area, one of the most beautiful spots in the Colorado Rockies. 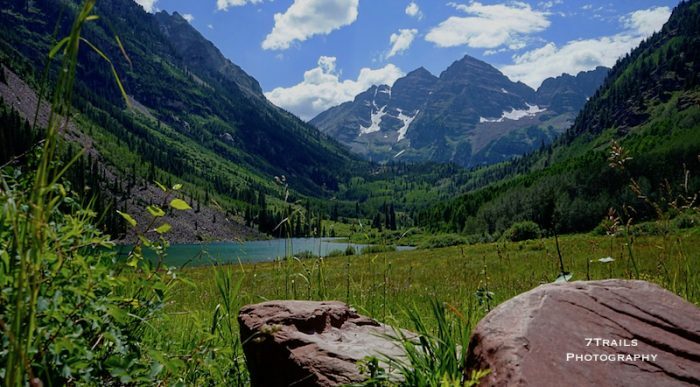 The Maroon Bells trailhead lies a short way from Aspen, the classic Colorado mountain getaway. 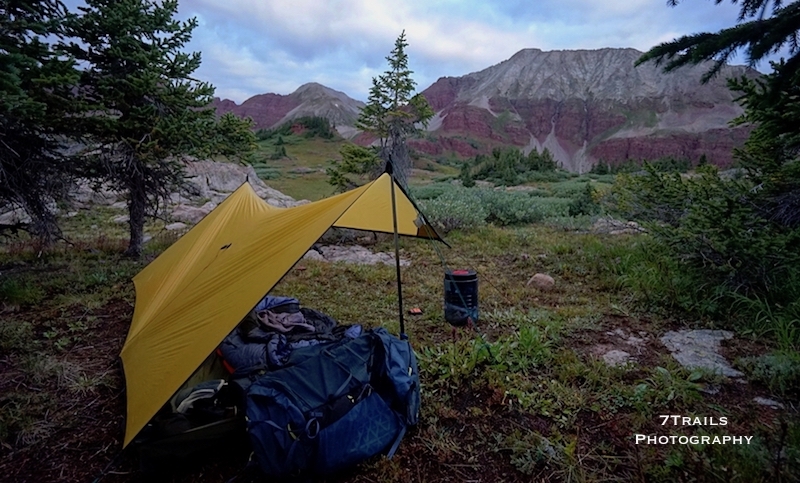 Overnight backpackers may park in the lot at the trailhead, but most overnighters (along with all day hikers) end up parking at Aspen Highlands and taking a shuttle to the trail. Shuttles depart regularly, and roundtrip shuttle tickets cost $10 on weekends/$5 on weekdays. The Four Pass Loop is incredibly short, clocking in at a mere 28 miles (45 kilometers), but the distance is deceptive. The moderately challenging route packs in substantial elevation change as it makes its way from a starting altitude of 9,580 ft (2,920m) over four challenging 12,000+ foot passes. No entrance fees or permits are required on the Four Pass Loop, but all overnight hikers must register at the trailhead and should keep their copy of the registration with them throughout the trip. 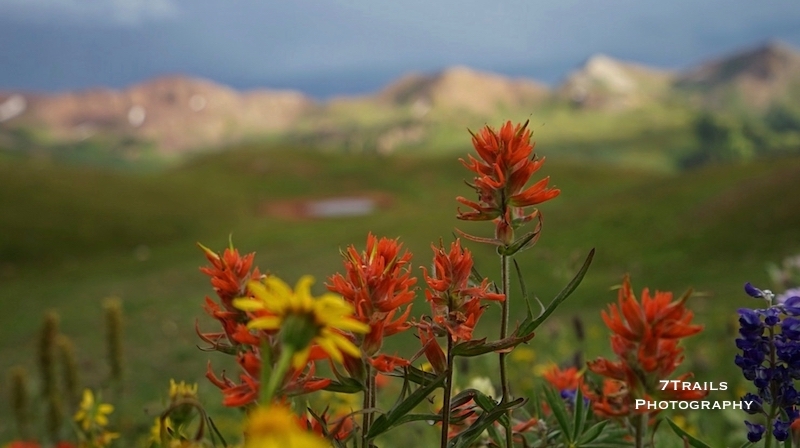 The prime hiking season in the Snowmass area is June-October. The region experiences significant snowfall outside of those months so be prepared if decide to hike the route in the off-season. 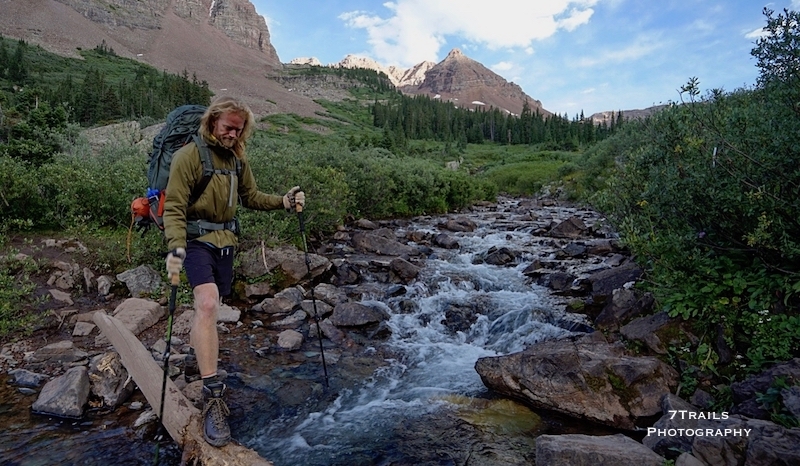 Due to the number of hikers in the area, all water should be treated prior to consumption. Bears are active throughout the Snowmass Wilderness so bring an approved bear canister for any overnight trip into the area. 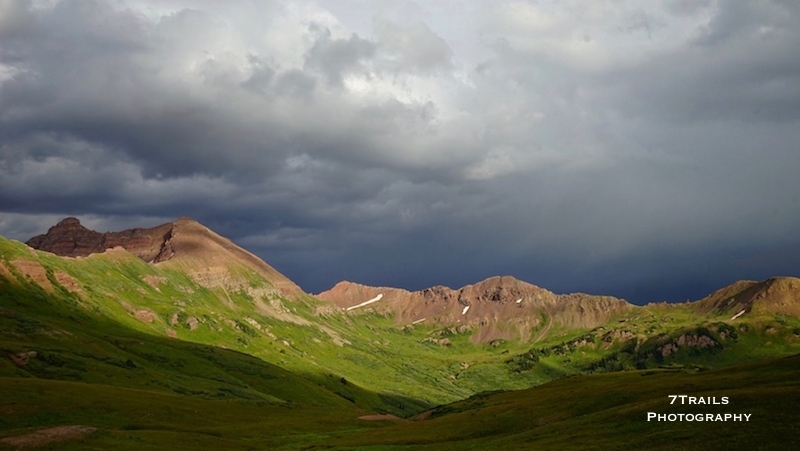 The trail follows on the West Maroon Trail up and over West Maroon Pass, the first of the four, and the descends to the intersection with the Frigid Air Pass Trail. Taking the right fork at the intersection, the trails heads north up toward set of steep switchbacks that lead up and over Frigid Air Pass. On the other side, the trail drops toward the North Fork of the Crystal River. The next destination is Trail Rider Pass, which lies at the end of a long climb following a crossing of the Crystal River. 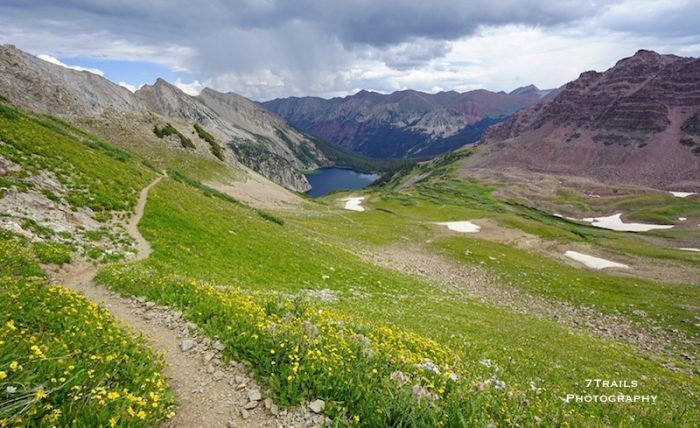 From there, the trail passes east of Snowmass Lake to meet a junction with the the Maroon-Snowmass Trail, the right fork of which leads southward toward Buckskin Pass, the final high altitude climb on the circuit. 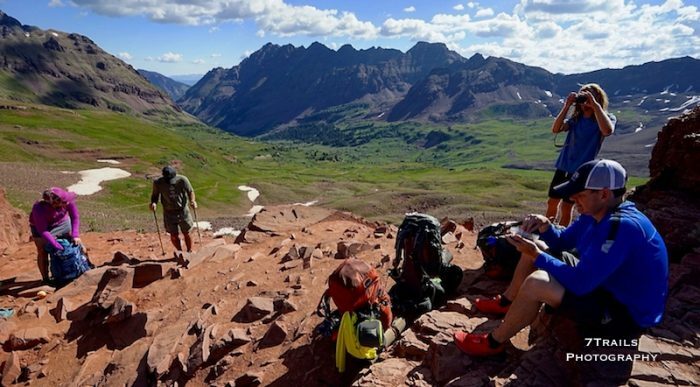 Buckskin Pass is a fitting conclusion to the beautiful hike and offers stunning views of a number of Colorado’s famed 14’ers, including Pyramid Peak, the Maroon Bells, Capital Peak and Mt. Daly. 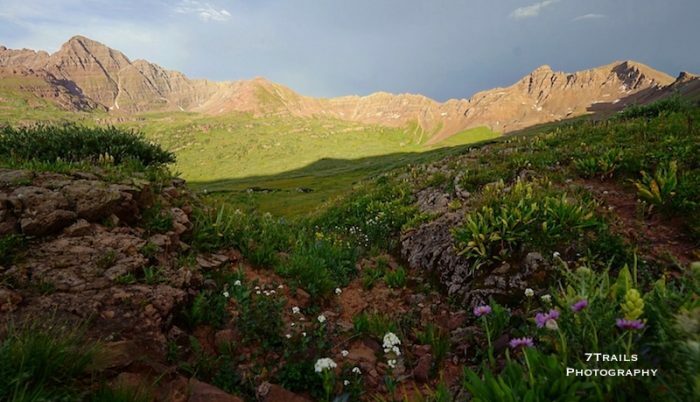 The hiking is almost literally downhill from there as the trail drops to an intersection with the Maroon-Snowmass/Willow Lake Trail Junction before ultimately connecting once again with the West Maroon Trail, which leads back to the trailhead. Maroon Lake, ending right back where we started. Looking good. Merry Christmas, Kevin. Thanks, Warren! Hope you and the family are doing well. Merry Christmas to you too!